On a recent winter morning, 30 bird watchers and I took a walk along San Francisco Bay. We enjoyed viewing large flocks of dunlin working their way along the mudflats, their heads bobbing like little sewing machines as they probed for food alongside larger willets and other shorebirds. Serene flotillas of ruddy ducks paddled lazily while a few surf scooters, cormorants and American widgeons drove beneath the surface to catch small fish as the sun broke through the thick fog creating a faint rainbow. The good news that made me appreciate the morning even more was that the toxic load of flame retardants -- in use since the 1970s -- in San Francisco Bay waters, people and wildlife has been reduced over the last 10 years. In a study published in December in the scientific journal Environmental Science and Technology, scientists from the San Francisco Estuary Institute (SFEI) found that since the phase out of flame retardants (PBDEs) in 2003, levels of the toxins have dropped dramatically. 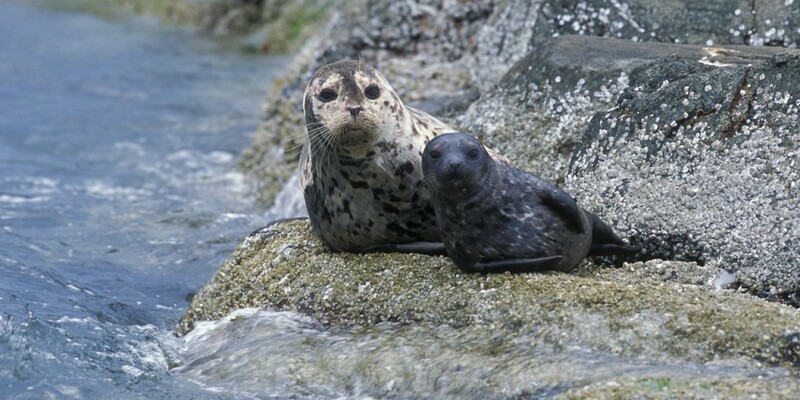 The study relayed that extremely high levels of PBDEs were detected in 2002 in harbor seal blubber, Forster’s tern eggs and sportfish (And a separate study also found alarming levels in tissue samples from women residing within the Bay Area.) These were the highest levels detected in wildlife worldwide and the highest levels ever reported in humans. The bay was a PBDE contamination “hot spot" and these PDBEs are no longer used. The contaminants originated in flame retardants added to foam products: couch foam, carpet, drapery backing and plastic products (such as electronics along with building insulation.) These products outgas, or breakdown, and the persistent PDBEs mingle with household dust which humans inadvertently ingest. The products also enter the ecosystem through runoff and recycling activities. Since the San Francisco Bay is the watershed for nearly half of the state, it’s no surprise these chemicals accumulated in the bay mud, waters and wildlife. You can find out more about the concerns of PBDE bioaccumulation and implications for humans and wildlife on the fact sheet from Berkeley’s Green Science Policy organization. With the ban on these PDBEs, wildlife has shown significant improvement, according to the study. 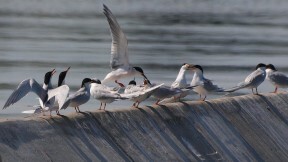 Forster’s terns, which nest on islands in the bay including Brook’s Island, eat small fish. The SFEI study showed that concentration of PBDEs in the terns has dropped 80% between 2002 and now. 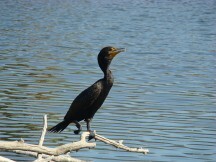 Double-crested cormorants that also nest around the bay have tested for similar declines in contamination. Sport fish contamination has declined about 50%. Mussels and mud contamination have also been reduced. Similar declines were shown for humans, too. Though this good news is worth celebrating, we need to remain vigilant. SFEI is currently testing for other contaminants in the ecosystem as manufacturers continue to use other potentially harmful chemicals for flame retardants.